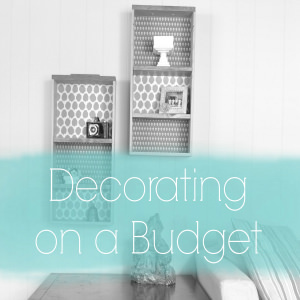 This craft is a super easy way to use up those old glass jars. If you’re crazy like me, after you finish a jar of pickles, spaghetti sauce, apple sauce, or all those other foods that come in glass jars, you take a look at the jar and decide if it’s worth keeping for some unknown craft in the future. 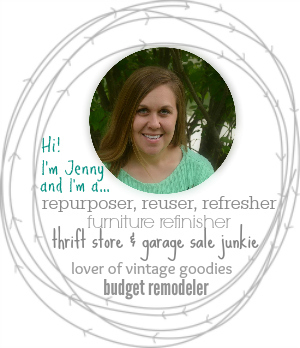 If you don’t do this, you’re probably thinking we’re all crazy (but you should think about keeping that jar before you throw it in the recycling next time)! In theory, this project is easy, but as I started gluing down the leaves, it became more frustrating than I expected. 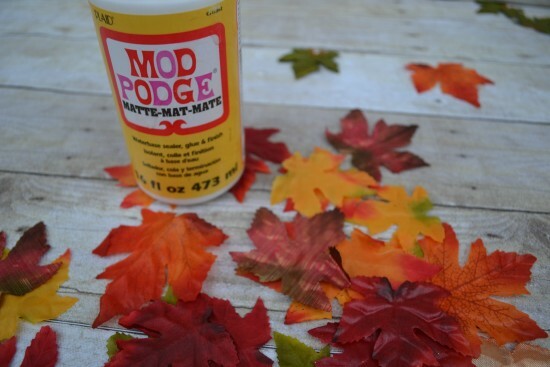 Basically, you just use Modge Podge to glue the leaves to the glass. I used fabric leaves from the Dollar Store, and they certainly did not want to stick to the jar. 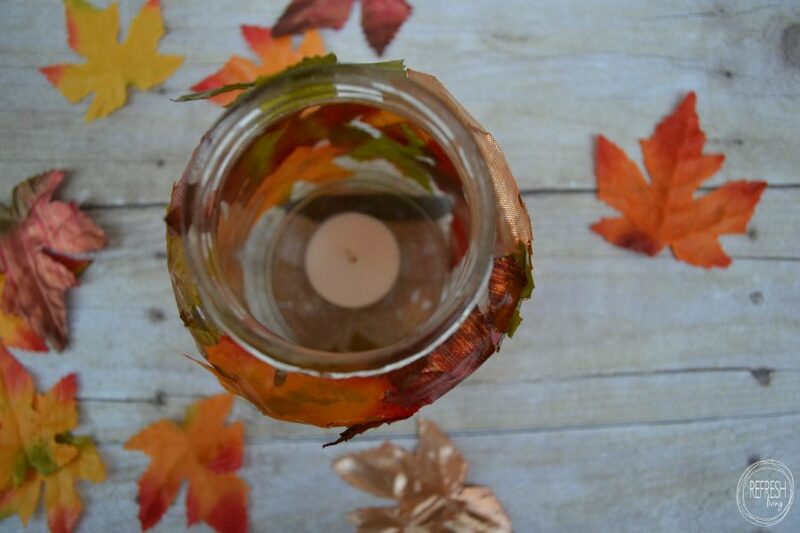 I figured out that it was much easier to put the glue on the back of the leaf (rather than putting it on the jar), and then pushing it onto the glass. It will slip. Leaf corners will come flying up. Try not to freak out. 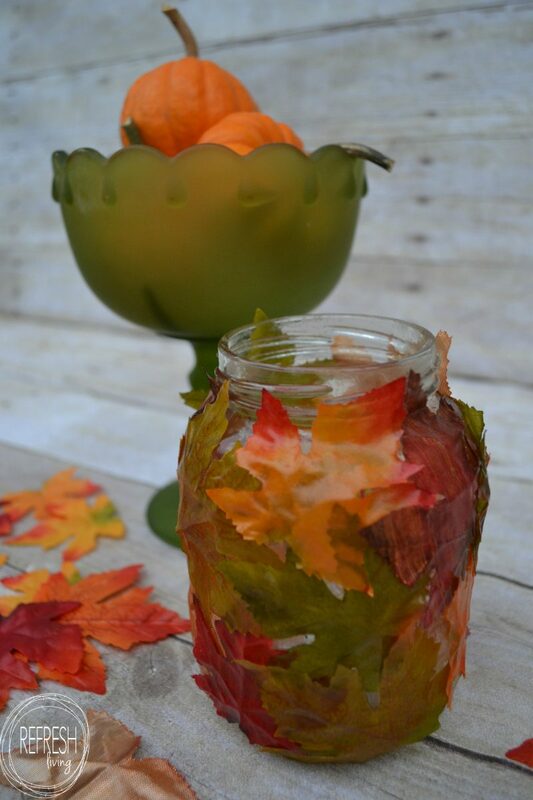 Stick all your leaves as best you can on the jar, and then leave that hot mess to sit for 30 mintes or so. After the glue starts to dry a little bit, it gets tacky, so after 30 minutes, you can push down some of those flyaway edges, and most of them stick to the jar at this point. And some just don’t ever want to cooperate with you. After it dried, it looked much better than during the process. I had all intentions of wrapping some twine or ribbon around the top, and then completely forgot…but I think it would add a nice finished touch to the jar. 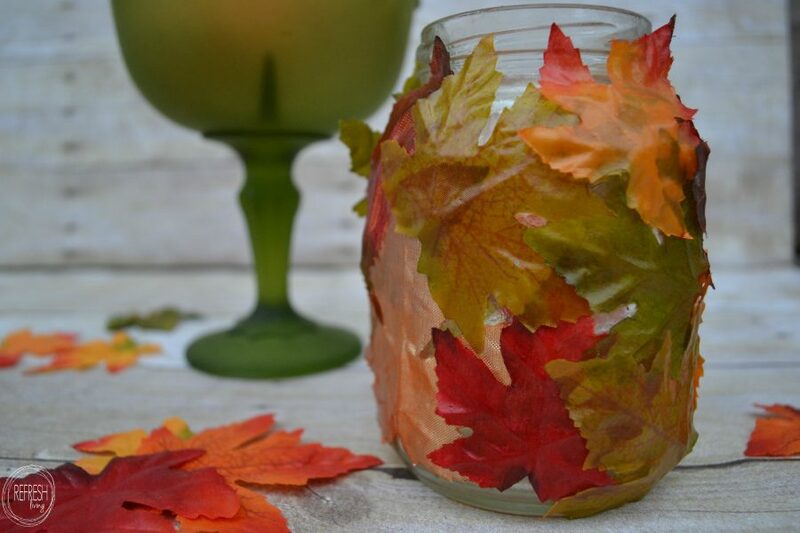 Because the jar was reused, and I already had a bottle of Modge Podge, this easy fall craft only cost $1 (for the fabric leaves). 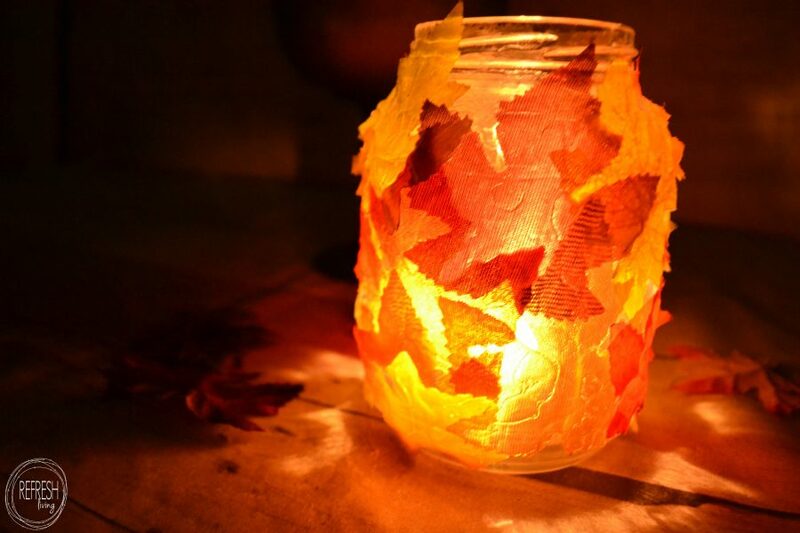 I’m sure you could use real leaves, and make it a free fall craft! 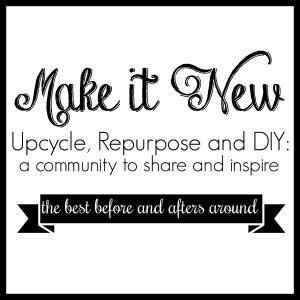 I’ll be creating and posting my repurposed and upcycled holiday decor items for the entire month of October. 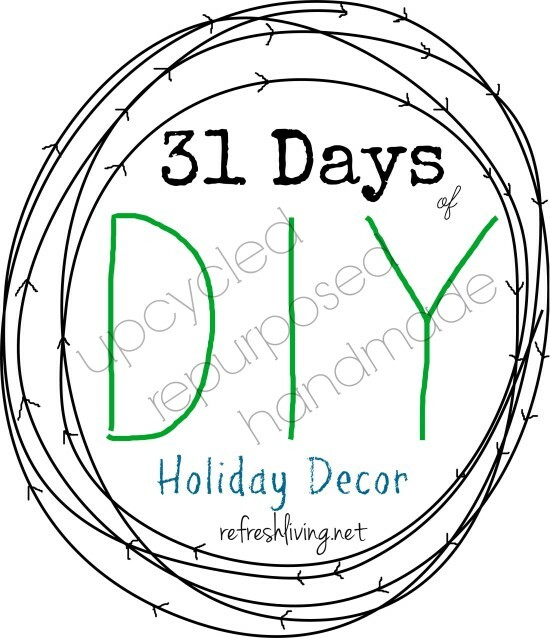 I hope you follow along and gain some inspiration to create your own DIY holiday items! I bet this looks lovely at night with a candlelight inside! colored leaves are THE BEST!